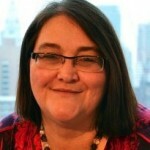 Jeff Jowdy hosted this week’s podcast with Margaret Battistelli Gardner, editor-in-chief and founding editor of FundRaising Success: the fundraiser’s complete source for multichannel strategy and integration techniques. Together, they discuss nonprofit organizations moving beyond multichannel integration and into holistic fundraising. Margaret has been with FundRaising Success since its inception in 2003. The magazine and online resource encompasses a wide variety of editorial products dedicated to the needs of fundraising professionals. Before joining the magazine as its founding editor, she was an editor and writer for America Online; published PhillyFeast, a monthly magazine about food in and around Philadelphia. Margaret has also held chief editor positions at a variety of newspapers and magazines in the Philadelphia area including MetroKids magazine, the Atlantic City Press and the South Philadelphia Review. She is a graduate of Temple University in Philadelphia. Follow her on Twitter at @FundraisingLove.